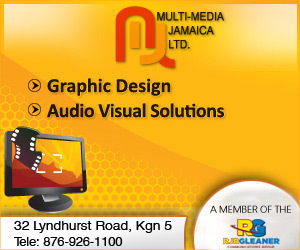 Multi-Media Jamaica Ltd is a wholly owned subsidiary of Radio Jamaica Limited established in 2000. We provide a blend of communication and technology solutions to an extensive range of small to large organizations. This fusion is intrinsic to us and as a result has become our core competence; we do not aim simply to digitalize your message, but to make your voice clearer, visuals sharper and support you with a level of creativity that allows you to reach diverse local and global audiences. Live Internet Streaming 24 hours per day guarantees your favorite radio and television programmes where ever you go. Just visit the website of the station of your choice, select the ‘live’ feature, and in no time you are tuned in to the addictive vibes of Jamaica’s best radio and television stations. MMJ goes further; the RJRGleaner Group’s E-News keeps your email alive with updates as events unfold. Register for E-News updates at www.rjrnewsonline.com. Interactivity is a key element of global communications and marketing strategies. Utilizing the newest technologies, we offer a full range of creative solutions from video productions, interactive DVD’s and CD’s, to websites and live web casts. Creativity from concept through design is offered by our highly trained and talented Graphic Artists. Fliers, Brochures, Advertisements, Advertorials, Brochures, Magazines, Annual Reports, Business Cards and anything that requires creative genius. Multi-Media Jamaica Limited provides commercial-free background music to major institutions: banks, insurance companies, restaurants, factories and a host of other businesses. Soothing, calming music has been proven to enhance productivity in the workplace. Multi-Media Jamaica Ltd will make your customers’ waiting experience more productive with a Message on Hold System. Take advantage of your telephone service by customizing your message to promote your goods and services while your callers wait to be served. © 2019 Multimedia Jamaica Ltd. All Rights Reserved.